42 MOVEMENT TAI CHI QUAN COMPETITION FORM Appointed by the International Wu Shu Federation, this is the formal competition routine. The movements are flowing and graceful which make it an attractive form over all. The level is intermediate or advanced. This tape is divided into three sections. 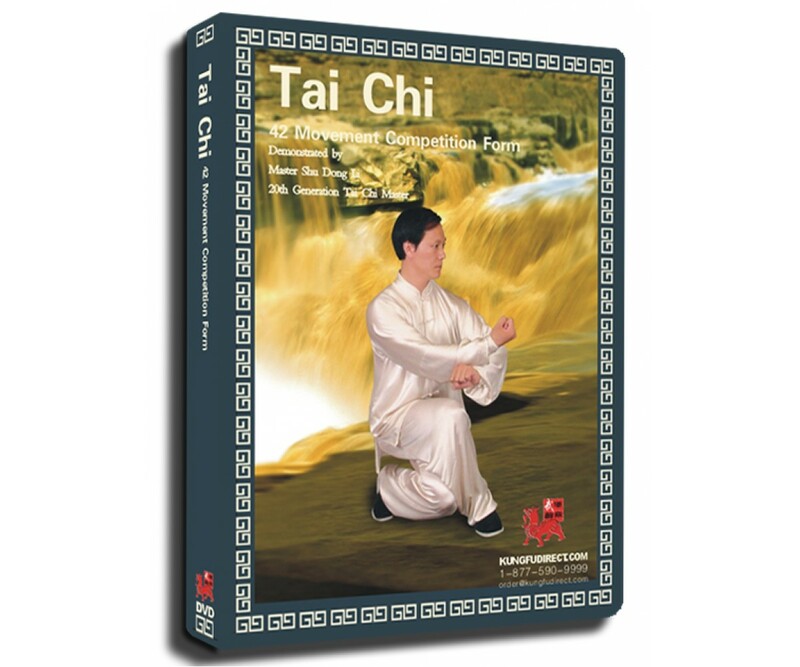 The form opens into four segments with detailed instructions and special points for each movement by Master Li. Every process is explained in detail. In addition there are guidelines to point out common mistakes and items for attention. This will help the learner to establish correct actions, avoid errors, and progress efficiently from the beginning.